In this edition of homify 360, we head inland to the town of Rustenburg, situated in the North West Province of South Africa, where a stunning home in the Waterkroon Eiendommer secure estate awaits us. It's a home of inspired rustic design with modern finishes and elegant features, making it a fantastic option for a young professional couple or even a family with children. 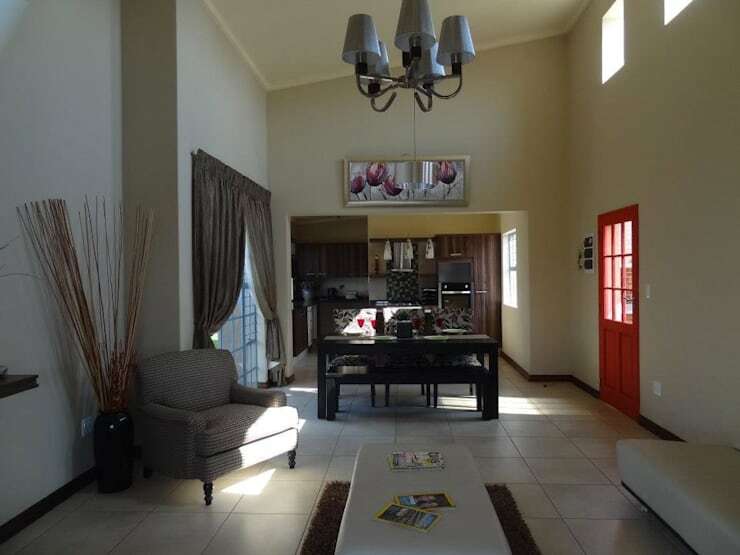 The estate consists of 27 sectional title units and 36 full title units, while the full title units were built in five different types of homes, this included a three bedroom single storey with a double garage as well as three bedroom double storey units with a single garage. But, let's explore this home for ourselves. This rustic inspired home is striking and attractive. Simple and classic neutral colours and elegant design make this home a great choice for a young family that would prefer an option of living in a secure housing estate. 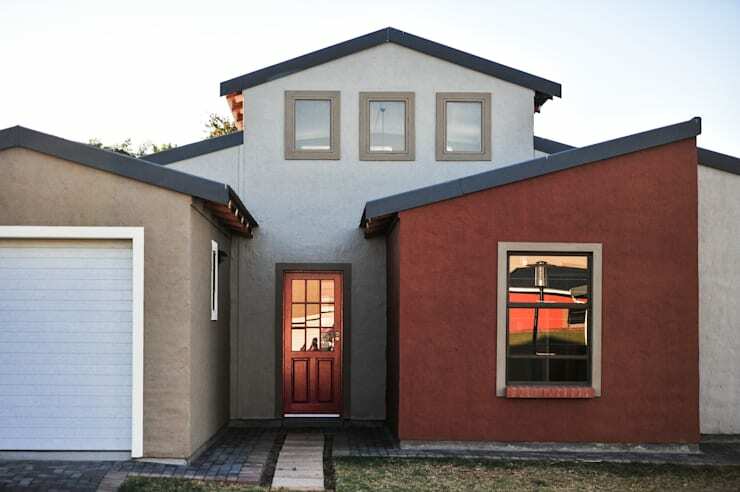 The architecture of this double storey home showcases a designer style that makes the team of architects at Olivehill a fantastic choice. This residence is so spacious and attractive. A modern home would not be complete without a garden and this garden definitely has a fantastic attraction… the water feature. 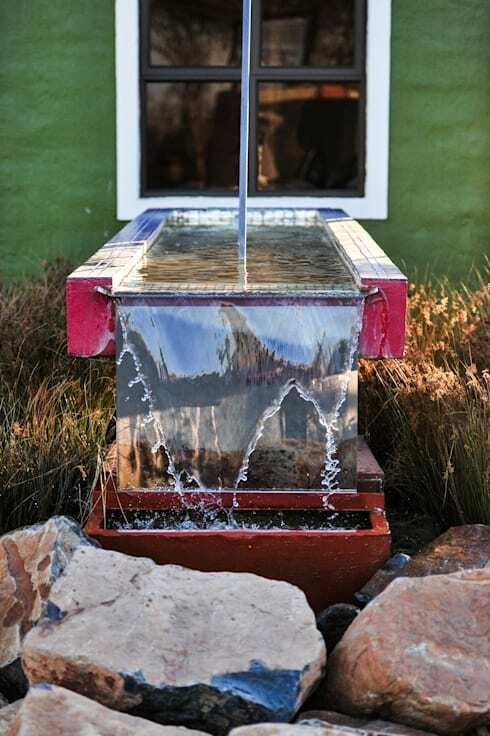 There is something soothing and serene about the sound of water running in a fountain, and this tranquil splashing sound is what adds a charming effect to this gorgeous outdoor space. A courtyard is a celebration of a rustic style exterior, the wooden pergola like covering of this courtyards adds an authentic effect to the outdoors. It's a great place to enjoy the outdoors, especially in this secure estate that ensures safety at all times. But, wait until you see the interior! This modern home is without a doubt spacious and full of style, but there is some resemblance of rustic charm that creates a stunning interior decor. The sloped roof, high ceilings and windows allowing for natural sunlight to enter the home from all angles creates a cosy and warm atmosphere, while the use of neutral colours and elegant designer elements makes this interior even more inviting. The terrace of this sensational home has to be our favourite spot to relax and recline, especially after a long day at work. The outdoor space is great for any social occasion and can quickly become an extension of the indoors. 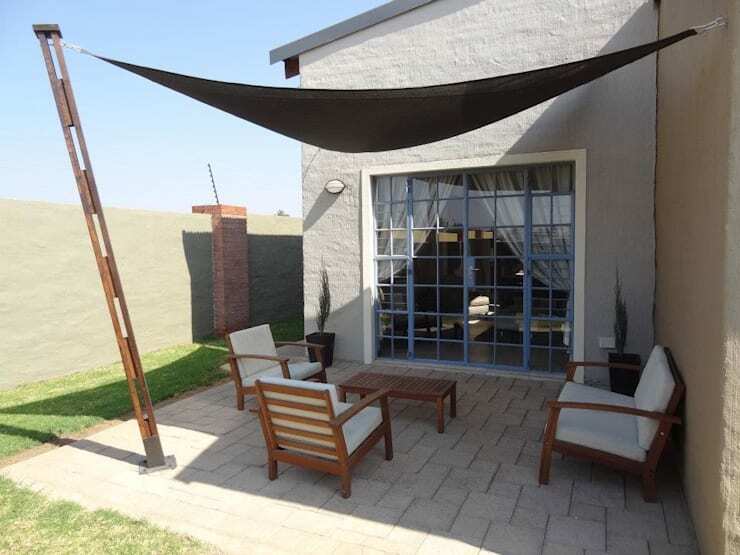 Spend the day lazing around in the sun with a good book or enjoy cocktail hour in the fresh air, and how about using this great outdoor area for an old fashioned family style braai. It's stylish, smart and spacious, a must-have for any home! We end our Ideabook today with a final glimpse of this gorgeous South African home. The street view gives us an idea on what to expect when just passing by, and with the vintage style pole displaying the street name and old fashioned street lamps for illumination, we may just believe that we stepped into a bygone era. 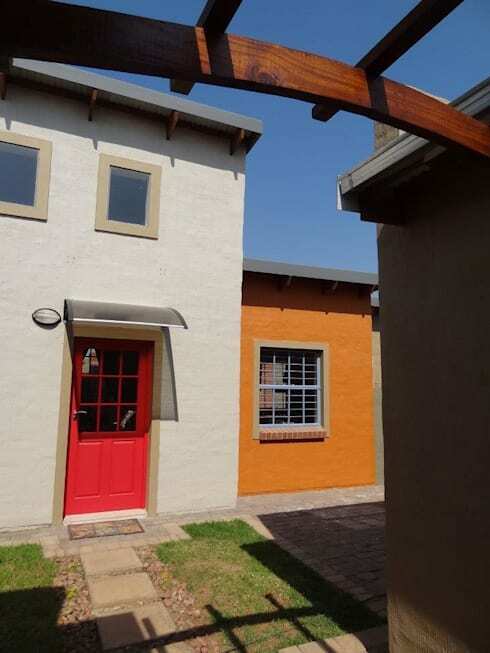 If South African architecture is what you're after, then Smart and Sleek Johannesburg Living is a great read. 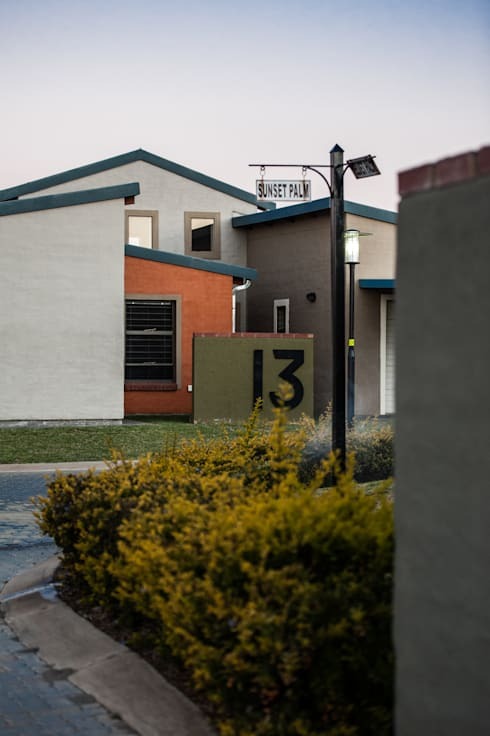 Would you opt to live in a secure estate?